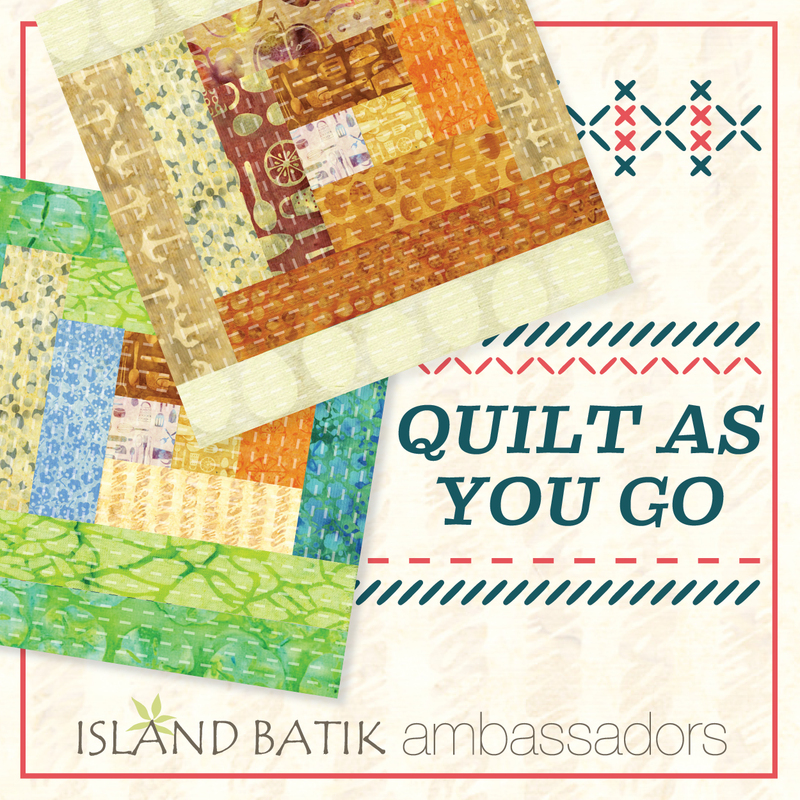 This month the Island Batik Ambassadors were given the challenge to make a Quilt As You Go project. This has was a great challenge for all of us, know it was for me since I had not done this before. Some of the Ambassadors even did their projects on the longarms but chose my domestic Janome 7700 machine for this project. Well, I must say this was my first time with making a project this way. So I had to do some research. 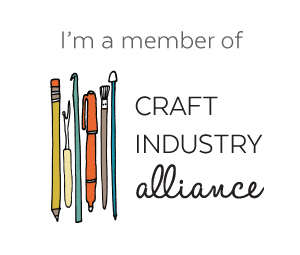 So, I started doing a little research and found a great tutorial by Sherri Noel, check it out Here. 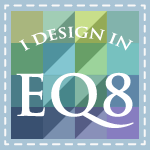 So, after doing some reading, I began working on my blocks for my project. 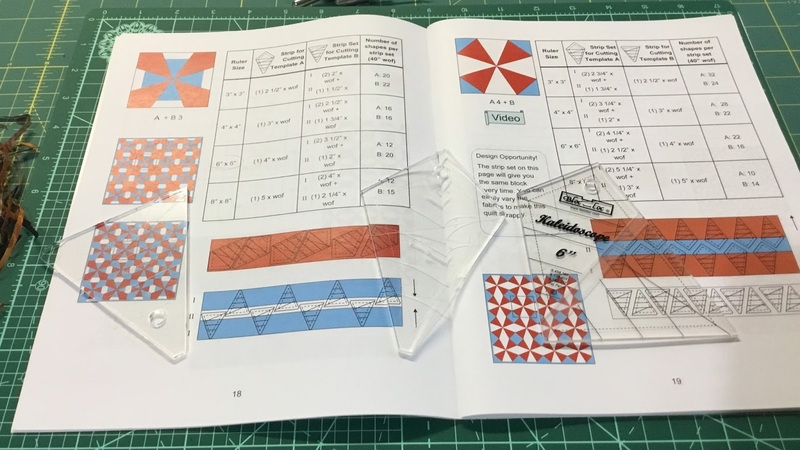 The blocks I chose for my project came from some new Bloc_Loc® Rulers and book called "Kaleidoscope Heaven." 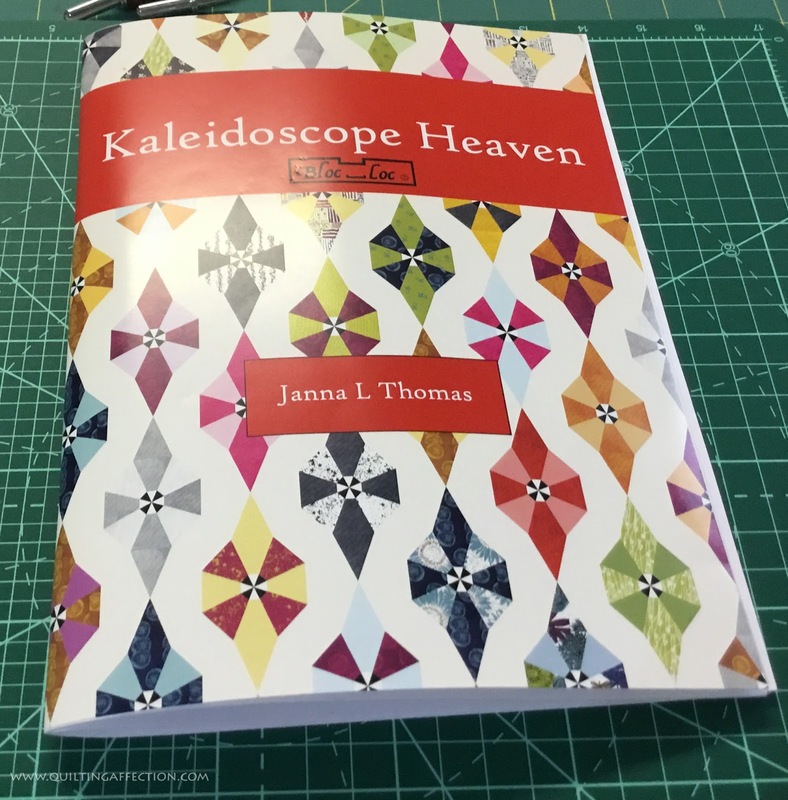 In the book, it gives you lots of different ways to use the new Kaleidoscope ruler and templates, the design I came up with was on page 18. 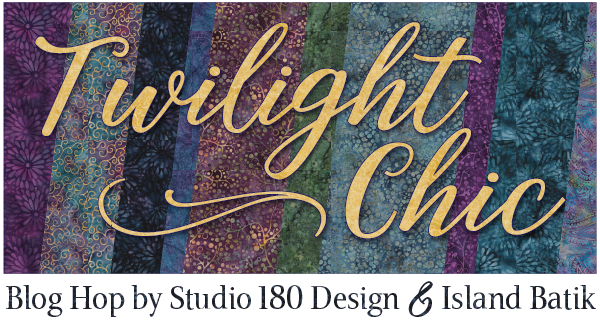 The Island Batik Fabric I used for the project comes from one of the newest fabrics collections, called “Beaujolais.” Now, I just used a handful of the colors in this collection. 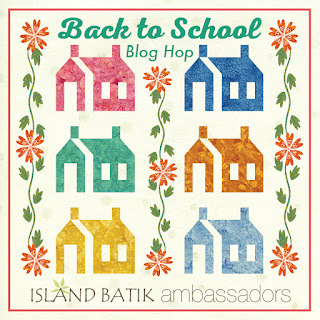 I will be highlighting more of the fabric in next month’s Back to School Blog Hop. 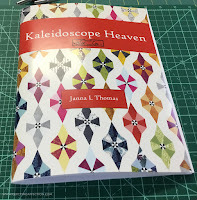 The Kaleidoscope blocks are fair easy to make. 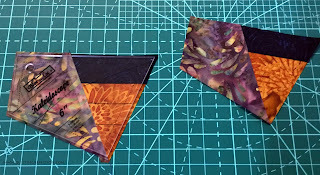 Basically, you are cutting your “A,” and “B” templates from strips either from one fabric strip or from multi colors strip sets to get the different effects in the block. Step 1- Trimming the units. 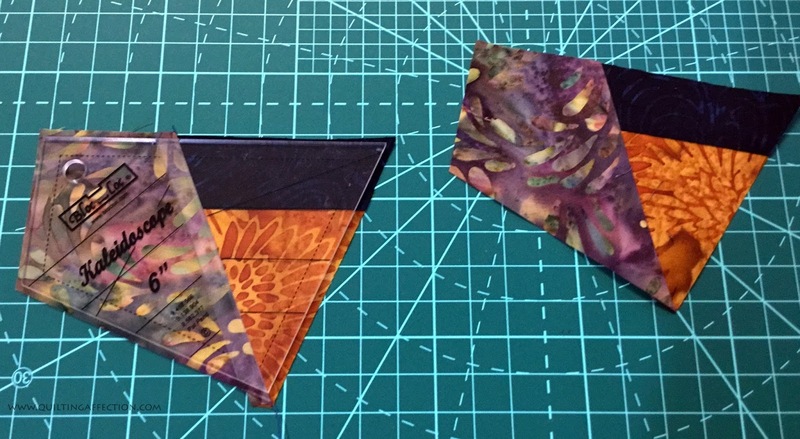 After all the cutting is complete, you start by sewing the template "A" and "B" pieces together. 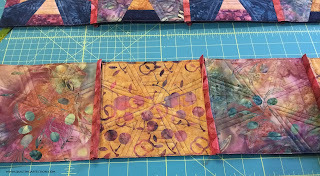 Once they were sewn together, you use the Kaleidoscope grooved ruler to trim the units down. 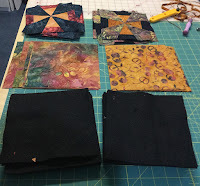 Then you sew all the units together to make a 6" block. 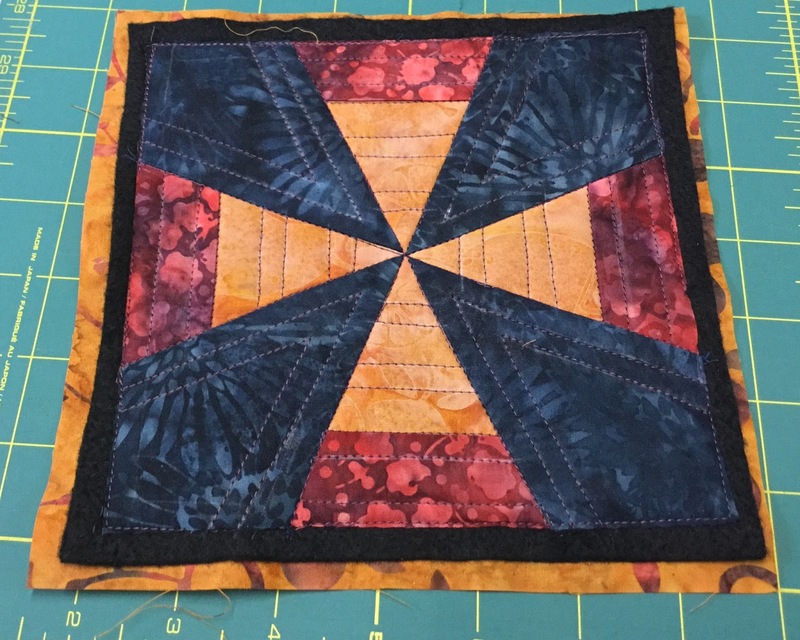 I made a second block in a different color variation for my little quilt. Now the fun begins!!!! 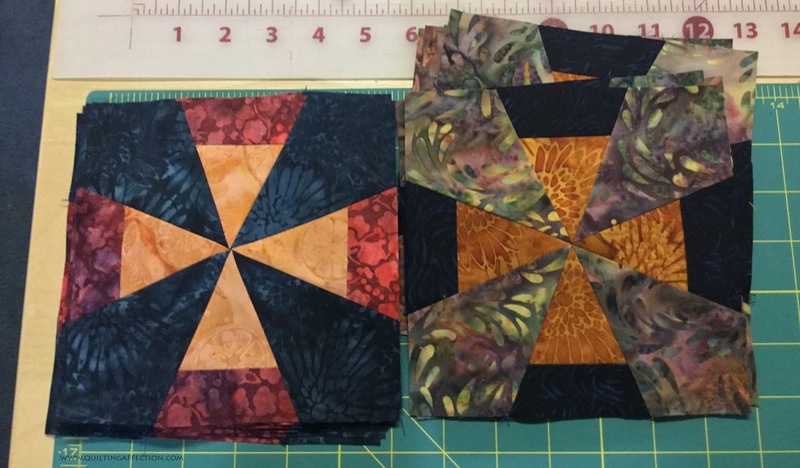 My unfinished blocks measured 6 1/2", so I needed a 7" batting square and 7 1/2" backing pieces. 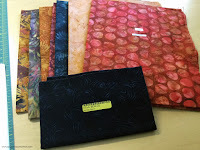 For the batting, I keep all my scraps from my quilting for varies projects that may come up. The batting I used was some leftover Black Quilters Dream Poly. 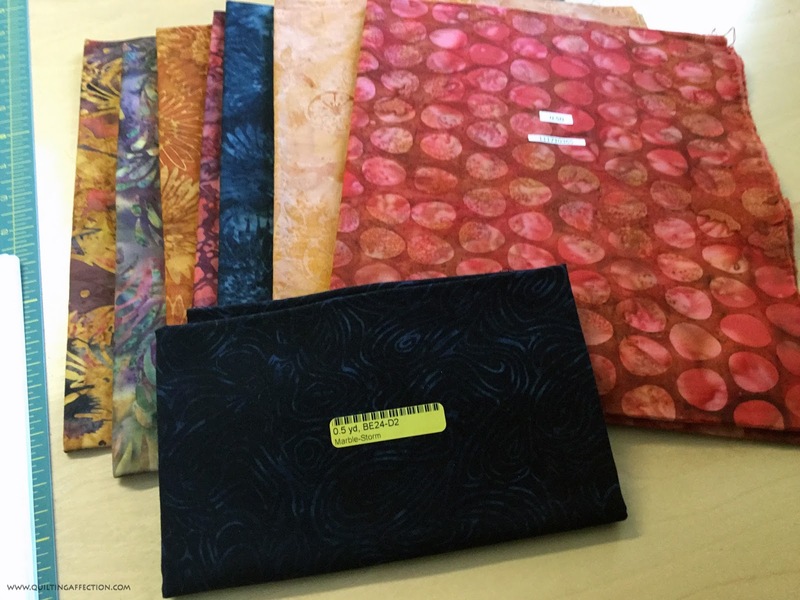 Next, the backing came from two different fabrics. The sandwich starts with laying the backing down right side facing down, then adding the batting in the middle and finally adding top with right side facing up, basting the sandwich with basting spray. 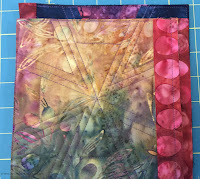 The basting spray is there to help hold the pieces in place as I quilted the blocks. 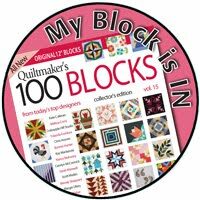 Once I had made all my quilt sandwiches were basted it was time to start quilting all my blocks were in place, using my sewing machines walking foot. 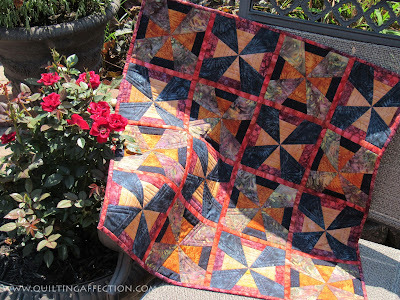 It takes some time to do all the quilting, but it will be worth it in the end. 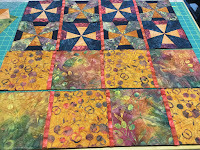 After I completed all the quilting I trimmed the blocks to 6 1/2". 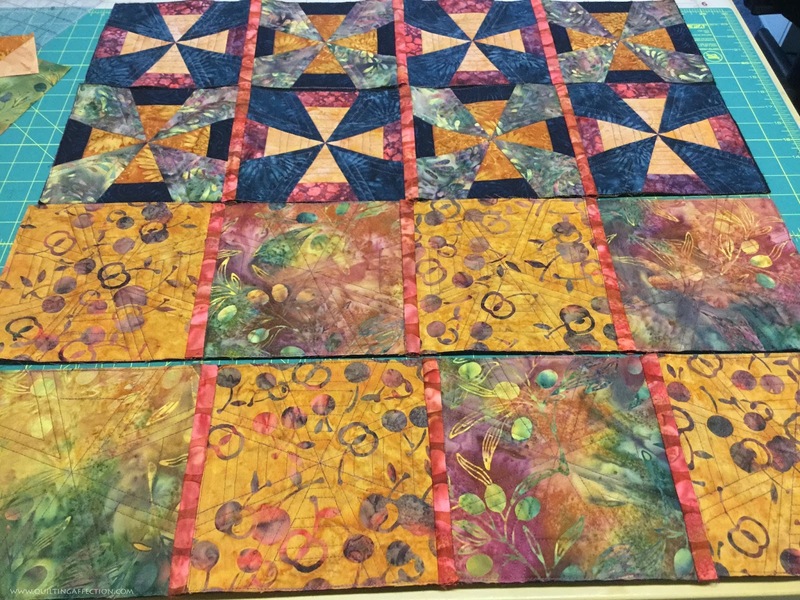 Once all the quilting and squaring is completed the next step is the joining the blocks. 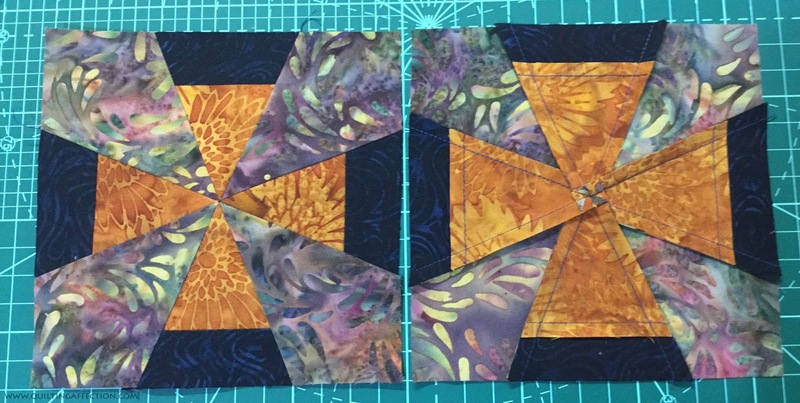 I cut out (2) 1" x 6 1/2" strips for each block. 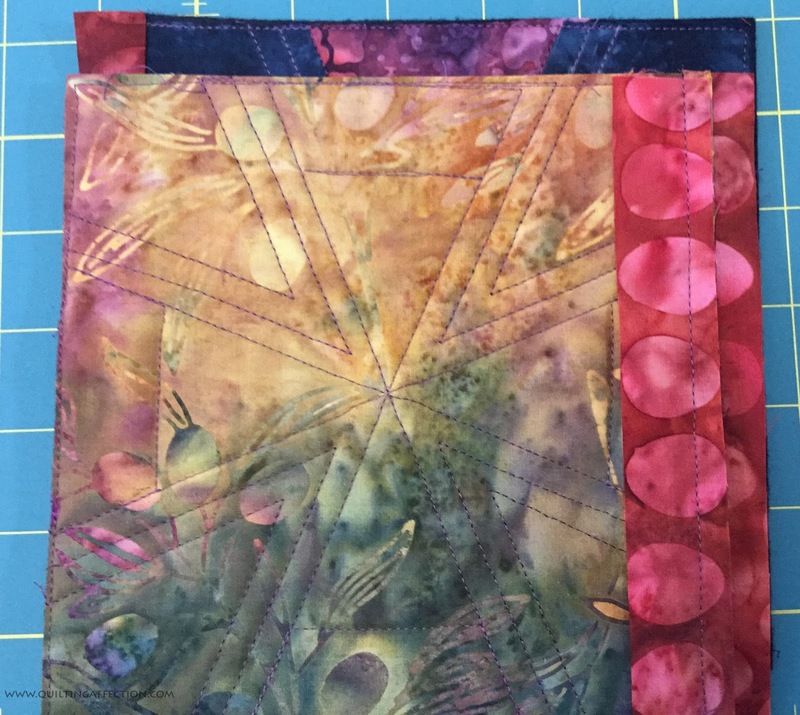 I placed one of the 1" strip on the bottom the block (right side facing down), then put a second 1” strip on top of the quilt block (right side facing up) aligning up the edges. Pinning if necessary. 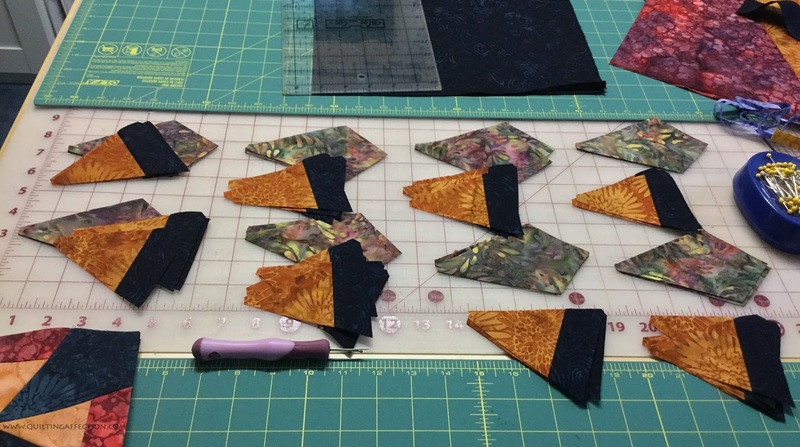 Once everything aligned up, you sew using a 1/4" seam allowance. Continuing with all the blocks, except the ones at the end of each row. Pressing all the strips on top of the block only to the right. 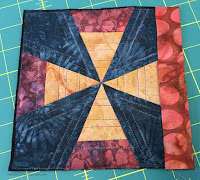 Sew all the blocks together, by layering two blocks together with tops of the blocks facing together, ensuring to align the pressed strips to the right edge of the bottom block. 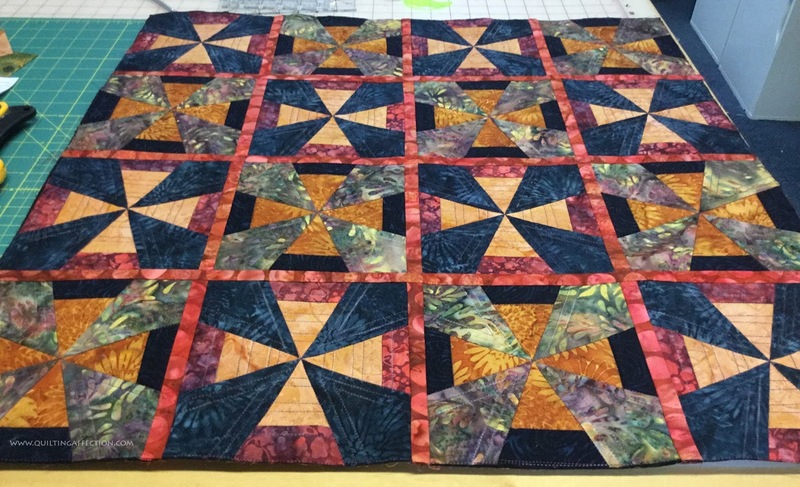 Once the block is sewn together, flip the blocks open and notice batting pieces will lay next to each other nice and flat. Repeat these step to complete your row. After the rows are made it's time to secure the back strip down. 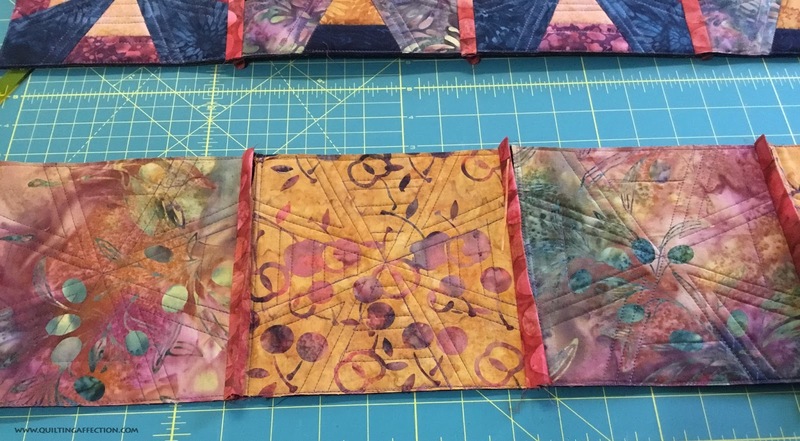 Start by preparing the backing strips by giving them a nicely pressed 1/4" crease on the open edge, then fold the strips over one more time and hand stitch all the back pieces down, just like you would bind a quilt. 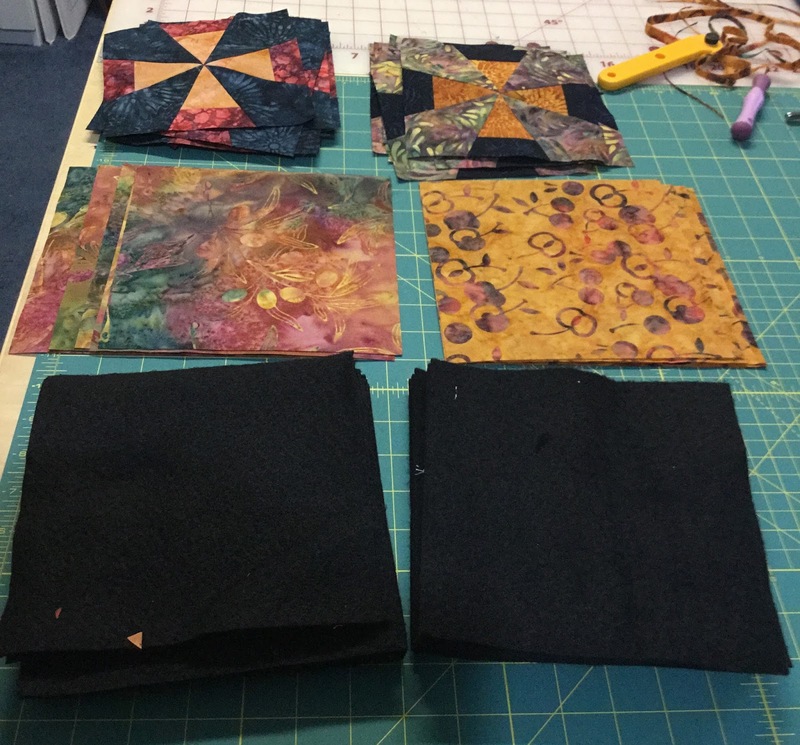 Once all the backings in the rows are completed, It's time to stitch all the rows together, following the steps the same steps used in joining the blocks together. 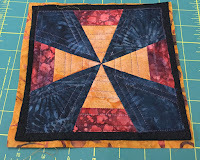 Cut (2) strips would be 1" x width of the row. 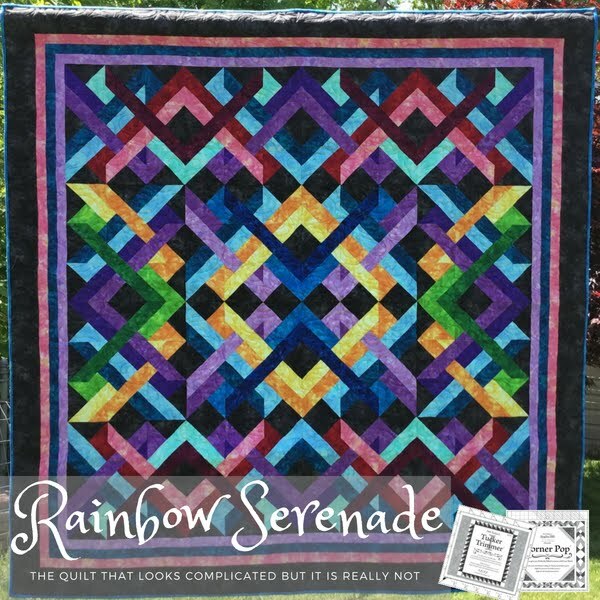 Sew all the rows together by using the front strips and, followed by hand stitching the backs together, to complete the project. 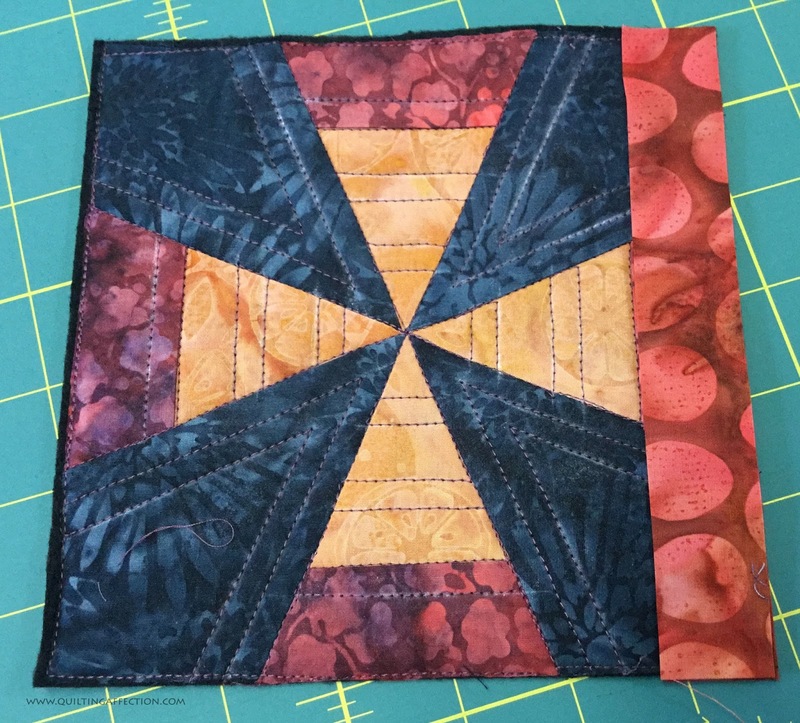 My Quilt As You Go Project is now complete. I found that Quilt As You Go was a fun and fast project. I defiantly would do this again. 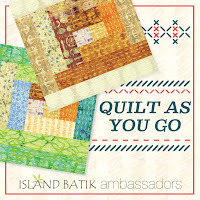 Be sure to check out the Quilt As You Go the other Island Batik Ambassadors are doing this month. 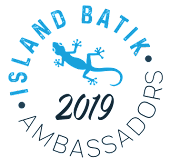 The list of Ambassadors are at the bottom. 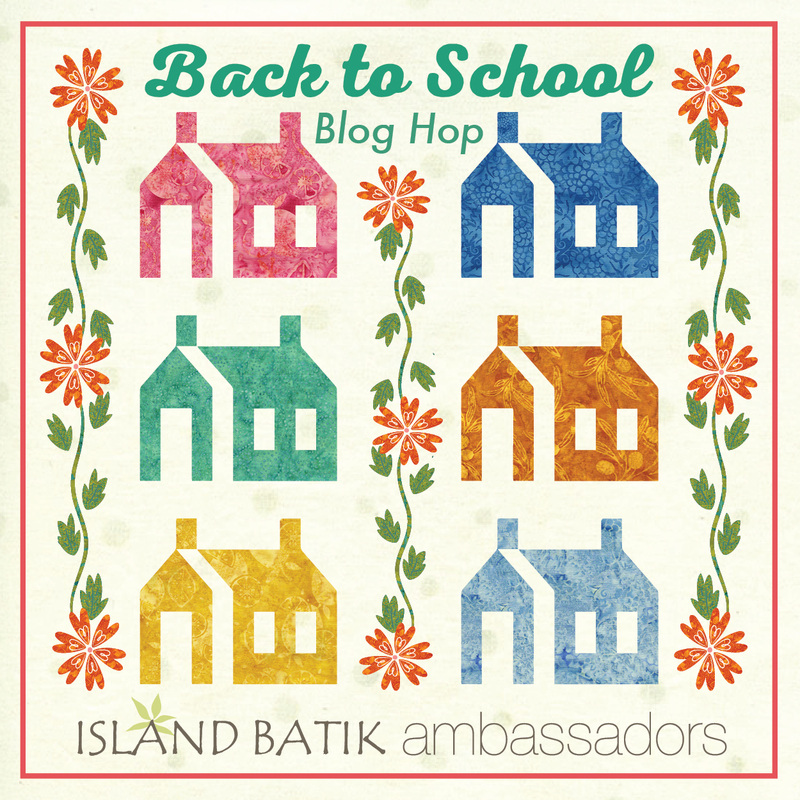 Also come back next month for the Island Batik Ambassador's Back to School Blog Hop starting September 4th. It will be so much fun! !